This is the screenshot archive. Below are some shots of the software in action, these are only thumbnails and you can click on the thumbnail picture to view a full-sized image. 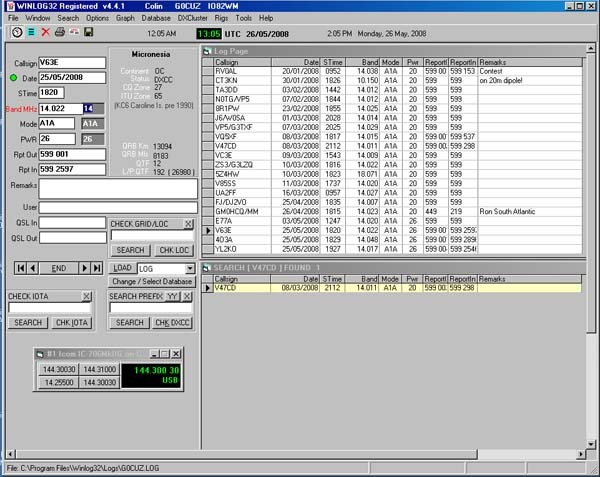 A screenshot of Winlog32, showing the unique but neat, uncluttered and functional layout of the main logging screen that many love using. Showing automatic band and database checking, highlighted alerts for DXCC (red), IOTA (purple) and VHF Locator (blue). Fully configurable for many other alerts and alarms. The lower section (white background) is the DXcluster database, spots can be selectively added by band, searched, sorted etc. 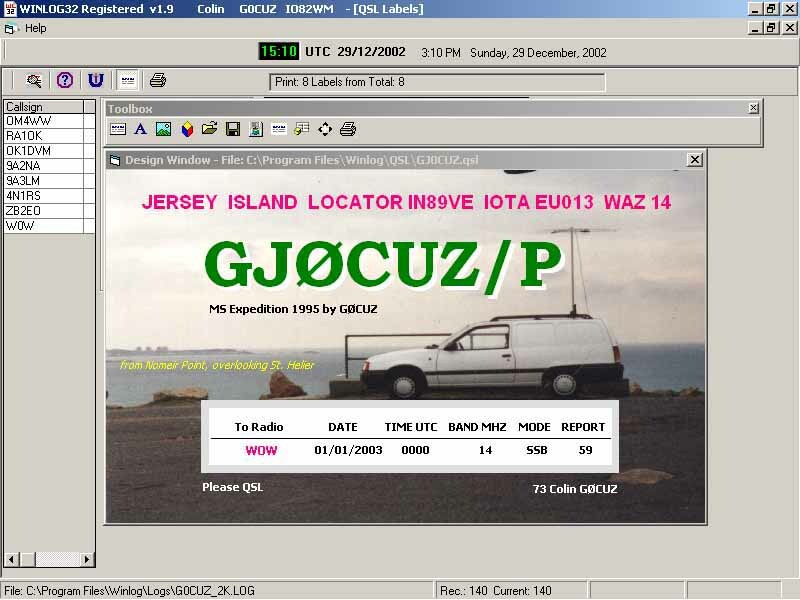 Integrated QSL Design and printing feature allows users to custom design and print out full colour picture QSL Cards, with data added automatically from the log. Flexible and versatile, using the designer you can add pictures, logos as well as text formatted for colour, style etc. Of course for the less ambitious Winlog32 will also print out user definable QSL labels. 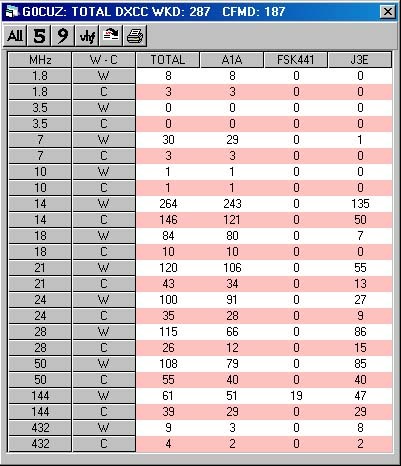 DXCC is supported in several different graphical and tabulated ways. The Band Map is an instant recall of your worked confirmed DXCC status is just one possibility..
Pop-up maps in various scales for most DXCC countries, prefix details, IOTA references etc. This feature is available to all registered users as a 'THANK YOU' for your support. All popular rigs are supported, several different rigs can be controlled at the same time. 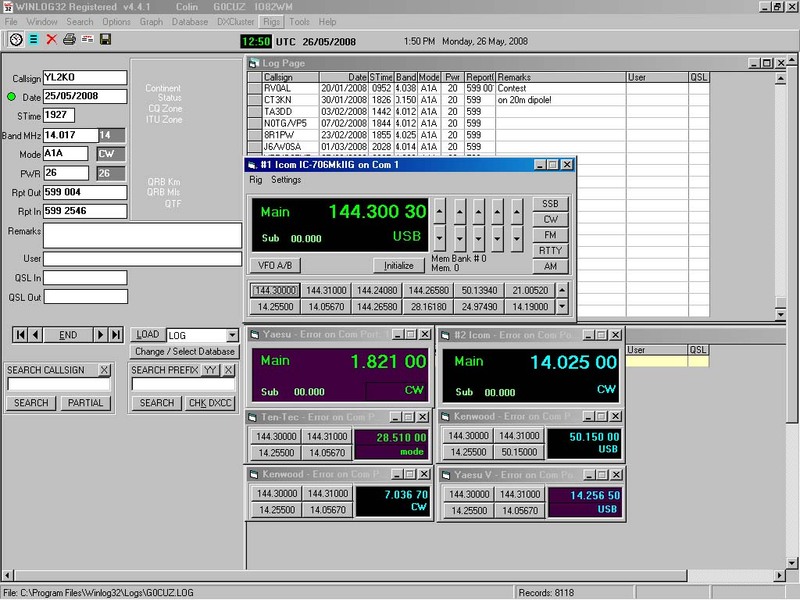 Three Rig Control Window (RCW) styles are offered.